The term Grande Marque (Great Brand) or Grande Maison (Great House) commonly refers to the great and famous merchant houses in Champagne. It is not in any way an official classification, and the self-appointed Syndicate of Grandes Marques disbanded it self in 1997. 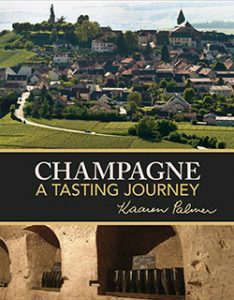 It was not necessarily an indication of the quality of their champagnes that merchants belonged to the original association. All businesses which buy more than 5% of their grapes or juice, and market champagne, are designated Négociant Manipulant (Trader Producer), regardless of the size of the enterprise. You will find the initials N.M. printed on their bottles’ labels. Today’s Union of Maisons of Champagne lists 76 Houses, some of whom only partially make their own champagne, relying on a co-operative or other house to do most of the production. Following is a list of the large Houses. Please click on the name of any House below to be taken straight to its website.